Negligence Lawyer In Denver CO - The Law Office Of Richard J. Banta, P.C. Many rely on doctors, therapists and other professionals to achieve and maintain optimum health, never considering they might need to contact a negligence lawyer Denver CO locals recommend in the aftermath of their carelessness. If you were seriously injured because a professional caregiver acted negligently, you might be awarded with the help of a negligence lawyer in Denver CO from the Law Office of Richard J. Banta, P.C. Our legal team can help you from start to finish; from filing your initial claim to representing you if necessary in a court of law. We opened our law firm with the goal of protecting people’s rights and have been doing so ever since. There are several points to keep in mind if you choose to pursue a negligence case. The following elements must be proven in order for your claim to be considered valid. Don’t hesitate to contact our office to speak with a negligence lawyer Denver CO residents turn to for assistance. We offer a free consultation. 1) Duty – the defendant owed a duty to the other party if they had established a caregiver and patient relationship. 2) Breach of Duty – defendant is held liable for negligence if they breached a duty that they owed to the other party by failing to provide reasonable care or protection. 3) Cause in Fact – the plaintiff (victim) must prove the defendant’s negligent actions resulted in a serious injury of some sort; if not for the actions of the caregiver, the injury would not have occurred. 4) Proximate Cause – if the defendant could have seen ahead of time that harm would be a result of their actions then they should not have taken that action. 5) Damages – the plaintiff must prove their injury was as a direct result of the defendant’s actions. By choosing a skilled Denver negligence lawyer from the Law Office of Richard J. Banta, P.C., you can feel confident knowing you have the legal guidance of someone with experience. Gross Negligence: careless, showing a lack of concern for safety of others. Contributory Negligence: confirming the accuser’s behavior or decisions did not contribute in any way to their injury occurring. Comparative Negligence: the accuser is somewhat responsible for the injury and may have to pay for partial damages. Vicarious Liability: the accused is held accountable for the behavior of another party or animal. Contributory and Comparative Negligence (Mixed): combination of two types, where the accused is deemed more than half responsible for their own injury happening and may receive only a percentage of damages for compensation. 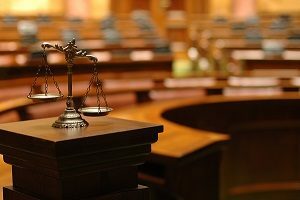 A negligence lawyer Denver CO victims trust can review your case to see if it falls under this category. In order to increase the chances of a verdict being awarded in your favor, you may be well served by seeking the advice of a negligence lawyer from the Law Office of Richard J. Banta, P.C. You can contact us today to receive your first free consultation by calling 303-331-3415. Call today to schedule a consultation with a negligence lawyer Denver CO community members choose for legal guidance they can trust.